Amazon's Great Indian Festival has some sick deals on headphones, earphones and more. We have picked the best ones. Get deals on Soundmagic E10C in-Ear Wired Headphones with Mic (Gold) here. The SoundMagic E10C offers you great sound that is reasonably well balanced, with just the right amount of thump. You can rest assured that you are getting great per unit performance for every rupee you are investing. Get deals on Bose SoundLink Color II here. Get deals on Bose QuietComfort 25 Acoustic Noise Cancelling headphones here. The Bose QC25 has active noise cancellation and is quite comfortable to wear for long hours. The sound quality is also impressive and the headphones allow control of the music via an inline remote. You can also take calls on the headphones. Get deals on Sony SRS-XB10 EXTRA BASS here. The Sony XRS XB10 is a cannister-style portable Bluetooth speaker that’s also water and dust resistant. It is a bit bass-heavy and the sound signature should please anyone with a taste of electronic music. Get deals on Beyerdynamic Byron in-Ear here. This pair of wired IEMs are a premium offering that comes with a 3-button remote control and also sounds quite impressive. It’s also quite comfortable to wear. Get deals on Sennheiser CX 6.0BT here. This is a pair of budget wireless earphones from Sennheiser that’s comfortable to use for long hours thanks to lightweight silicone earbuds. It will not please the audiophile’s ears but is perfect for everyday use. Get deals on JBL Cinema SB450 4K Ultra-HD Wireless Sound Bar here. If you are looking for a soundbar to compliment your 4K TV, then you can consider the JBL Cinema SB 450. The soundbar has a lot of input options including 4K HDR passthrough, is well built and can really fill the room with sound. Get deals on Bose Quiet Comfort 35 II Wireless Headphone (Silver) here. 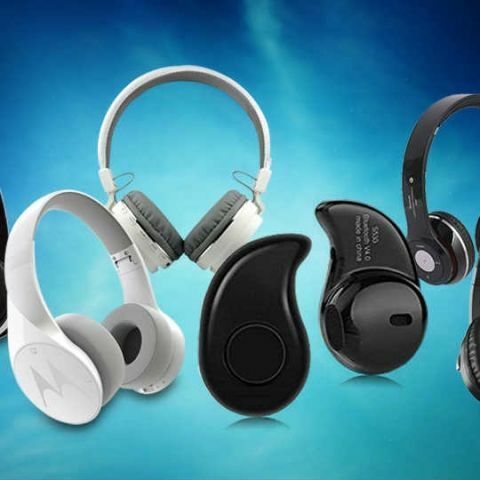 The wireless headphones sport a dedicated button for launching Google assistant and feature three levels of noise cancellation that allows users to either cancel outside noises fully or partially. Are wireless charger best or wired heard that wireless charge is producing more heat?